Dubai, United Arab Emirates, 8th of April 2019: Under the patronage of His Highness Sheikh Mohammed Bin Rashid Al Maktoum, UAE Vice President and Prime Minister and Ruler of Dubai and in the presence of HH Sheikh Saif bin Zayed Al Nahyan, Deputy Prime Minister and Minister of Interior, the Annual Investment Meeting (AIM) 2019 opens today. The 9th edition of the world’s biggest platform for foreign direct investment (FDI) will run until 10th of April in Dubai under the theme ‘Mapping the Future of FDI: Enriching World Economies through Digital Globalization’. The event also witnessed the presence of 4 presidents, 1 Deputy president and 40 ministers including H.E. Evo Morales, President, Plurinational State of Bolivia; H.E Muhammadu Buhari, President, Federal Republic of Nigeria; H.E Rustam Minnikhanov, President of Tatarstan, Russian Federation; H.E. Ramzan Kadyrov, Head of Chechen Republic, Russian Federation and H.E. Huchiev Muslim, Deputy Chairman of Chechen Republic, Russian Federation. He further stated that the outlook for the future remains optimistic, given the 3.7 per cent global economic growth experienced in 2018 and with the International Monetary Fund estimating that the world economy will continue to grow in 2019 by 3.5 per cent. “At the national level, the UAE continues to rank first in the region in terms of FDI inflows, which in 2018 amounted to USD 10.4 billion according to the Central Bank of UAE estimates. For the past six consecutive years, the UAE has been leading the Arab countries in the ‘Ease of Doing Business Index.’ IMF maintains positive economic forecasts in this regard, as the country's GDP growth is estimated at 3.7 per cent this year,” added His Excellency Dr. Abdullah bin Mohammed Belhaif Al Nuaimi. “The UAE has paid great attention to the development of infrastructure and roads, being aware of its importance in promoting investments. The country has also been able to achieve internationally high rankings on global competitiveness indicators in this domain. These include second place in the satisfaction with streets and highways, which constitute one of the best infrastructures in the world. Furthermore, the UAE has accomplished some prestigious achievements through successful partnerships between the public and private sectors in the area of infrastructure projects, reflecting the importance of joint endeavors by both sectors and attracting more investors,” stated His Excellency Dr. Abdullah bin Mohammed Belhaif Al Nuaimi. According to His Excellency Dr. Abdullah bin Mohammed Belhaif Al Nuaimi, globalization is progressing on new paths. The UAE believes in the importance of technology as a major catalyst for economic growth and has been keen to keep abreast of new trends and their applications in various areas of trade. We strongly believe in the importance of joint efforts in narrowing the digital divide, in order to capitalize on the digital economy. Participating at the exhibition is Al Ahli Holding Group, a multi-billion-dollar company which has been operating in the UAE for past four decades. The UAE owned company, which is also a family business was the first to introduce the concept of outlet mall in the region as well as bring female gyms to the country. This edition of AIM also features AIM Startup and Future Cities Show, which are happening in conjunction with the Annual Investment Meeting (AIM) 2019. The latest edition of AIM Startup has over 150 promising startup companies under one roof to help facilitate business interactions and investment partnerships with major investors, business leaders, representatives of international institutions, and government entities. The Future Cities Show, on the other hand, will focus on five leading future city solutions, namely AI, blockchain, smart infrastructure, smart mobility, and sustainability. According to Walid Farghal, the event unites leaders from various industries to interact, discuss, and showcase top-notch solutions for a smart sustainable future. Over 20,000+ corporate leaders, policy makers, businessmen, regional and international investors, entrepreneurs, leading academics, experts, and stakeholders from over 140+ countries from Europe, North America, Latin America, Africa, Middle East, and Asia are participating in the three-day event. The prestigious gathering this year will run under the theme ‘Mapping the Future of FDI: Enriching World Economies through Digital Globalization’. It has been noted that the digital technologies particularly, artificial intelligence, renewable energy and other disruptive technology are all major and initiatives for FDIs. The UAE has a potential to increase 3.7 to 10.8 trillion mobile networks by 2025, where AI adoption will account for 45 percent of the total. In the UAE, which has embarked on intensive digital transformation efforts, FDIs play a visible role in the country’s economic diversification strategy and preparation for a post-oil future. 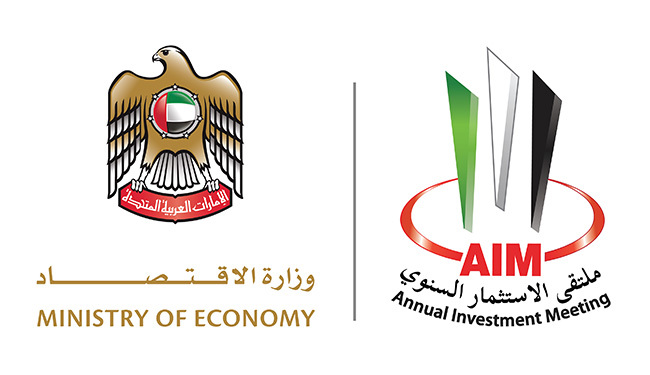 The government has implemented key policies and programs to attract foreign investors according to UAE Vision 2021. These efforts have yielded positive results amidst growing confidence of the international community in the Arab nation. AIM is an initiative of the Ministry under the patronage of H.H. Sheikh Mohammed Bin Rashid Al Maktoum, UAE Vice President and Prime Minister and Ruler of Dubai. The event’s opening ceremony was also graced by high-ranking officials and executives from the government and private sectors.